Over the past few weeks I’ve reported a number of departures from the charter side of Camper & Nicholsons but Miriam Cain assures me it’s not purely one-way traffic as two new recruits joined the charter department in Monaco recently. 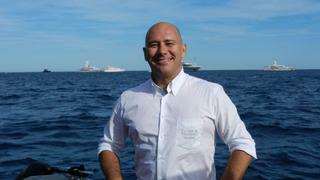 Alex Garro is now Senior Charter Manager. He spent the last six years working as a charter manager at Select Charter Services and experience prior to that includes working as crew on yachts and 14 years of sales management. Nathalie Andreu has joined as Charter Manager. She has most recently been working for YCO in Yacht Management. Prior industry experience includes working for Fraser Yachts for more than three years in sales, management and charter marketing. In other news, D.J. Kiernan is the new Director of Charter Marketing Worldwide. D.J. 's new position comes ten months after joining CNI as Director of Charter Marketing in the US.